Thanks to T. Wayne of A Joyful Process for nominating me for the three day quote challenge. The rules are to select up to three quotes each day for three consecutive days, and nominate three different bloggers in each of these posts to do the same challenge. I will do my best! Today it is officially ONE MONTH until my big 4-0 Birthday. I will use this first challenge day to remind everyone about what I want for my birthday and will share 3 quotes about KINDNESS. Click the picture and join the birthday fun! People wonder why I give so many compliments out to strangers. I’m not being fake and I’m not looking for people to like me. But if I pass someone and I like something, I say it. It’s hard to be nice and be miserable yourself. It’ll reflect from the outside in . . . Some believe it is only great power that can hold evil in check. And finally . 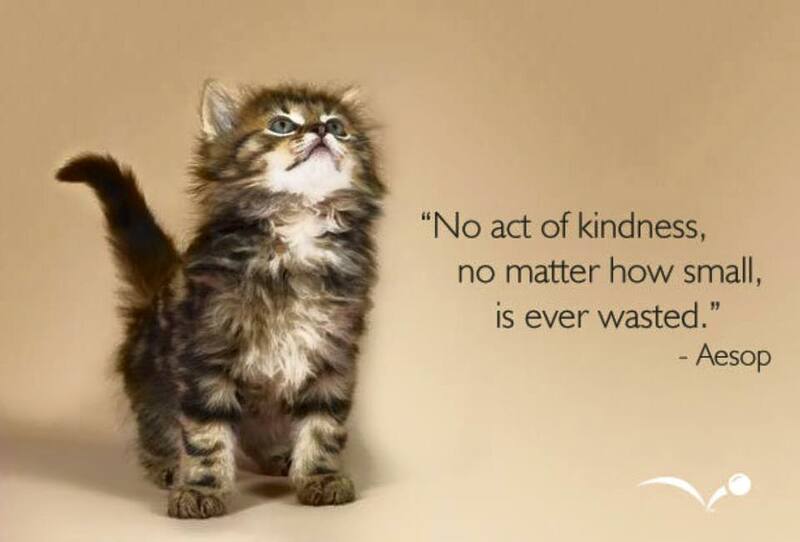 . . what is better than a quote about kindness PAIRED with a kitten? My friend Kara at I wanna be me when I grow up. My friend Scott, Teller of Tales. Great quotes! A little positivity can indeed help others. I try to practice that daily. Thanks for participating, and thanks for the shoutout!